Hint: It has nothing to do with your title. Whether you’re the boss or part of a team, it’s always possible to be a leader. In fact, leadership is very different from being in charge. You can show leadership through your actions no matter what position you hold. Ultimately, being a leader may help you make your way to a position of authority, but that’s not the only career benefit. You’ll find that people want to work with leaders, so if you can show leadership, many career opportunities could open up for you. Be the best employee possible. Come in early and leave late. Be eager, open, and excited about every opportunity presented to you. Every piece of advice above may sound hokey, but the best leaders are willing to fully commit themselves. That doesn’t mean you should work yourself to death or even try to be the hardest worker in every situation. Instead, you need to establish a pattern of hard work. 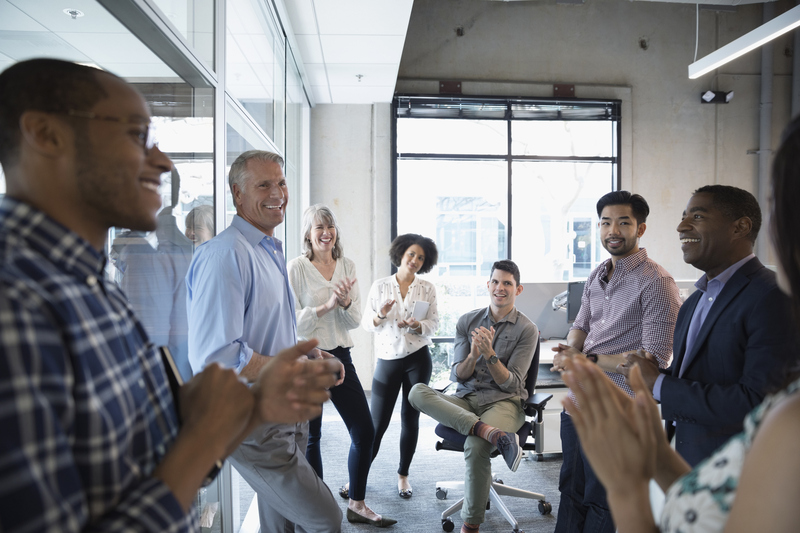 You want to get to the point where your bosses and co-workers simply understand that you can be counted on and that you’ll always be there when needed. In my first season working a paying job at the summer camp I had long attended, my boss showed us how to solve some basic plumbing problems. As you might imagine, that was not always pleasant work. Some of my coworkers always seemed to be busy when a clogged toilet needed to be fixed. Others, however, were always willing to jump in when needed. That’s something the boss noted and appreciated. It’s also something every employee noticed, and while some were happy to get out of a miserable job, most appreciated the effort. The old hackneyed line is to dress for the job you want, not the one you have. That’s often not possible depending on the work you do, but Mark Sanborn, president of Sanborn & Associates Inc., explained how to dress to be seen as a leader in a guest post on Entrepreneur.com. Leaders support the people they work with and liberally share credit. They also acknowledge that good ideas don’t have to come from them. A willingness not to be right is a major part of showing leadership. It’s hard to respect a leader who leads from behind the scenes. To establish yourself as a leader, you need to be on front lines along with everyone else. That’s not always possible when you become the boss and need to be more hands-off. However, if you’ve gained your reports’ respect by showing that you’re willing to do any job, regardless of your status, then it will be easier to ask them to handle tough jobs without you. People are more likely to follow leaders who have proven they’re not afraid to get their hands dirty. Leadership isn’t about your title. It comes from actions and attitude. Act like a leader, and soon enough, you will be one. This article was originally published on The Motley Fool. It is reprinted with permission.